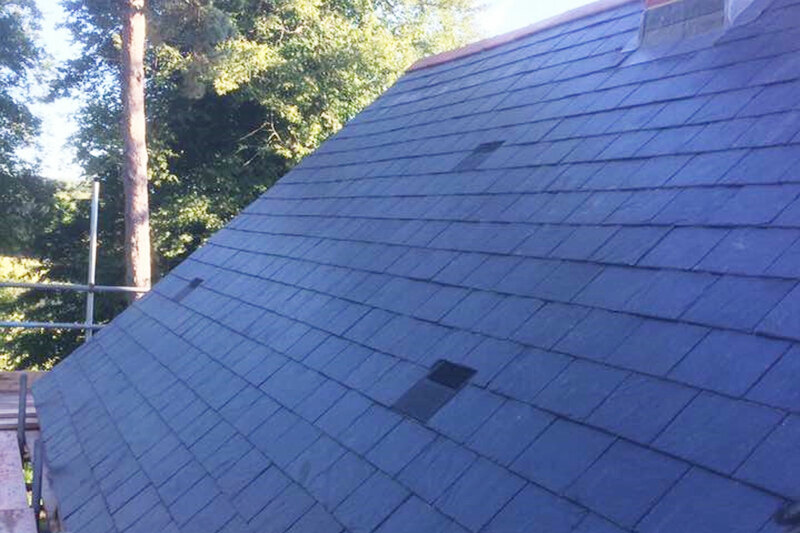 Modern slate roofing products offer an attractive and long term waterproofing solution for your roof. 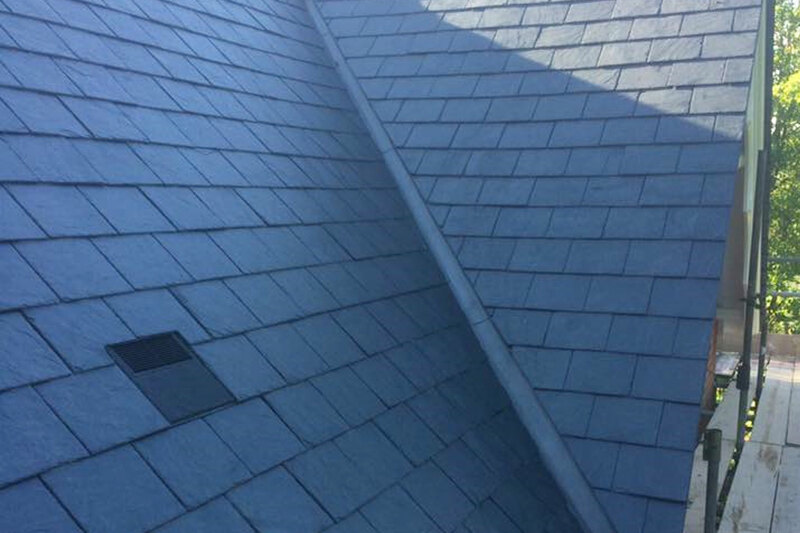 Natural and manmade slates can be supplied in a wide range of appearances and finishes that will suit any budget. 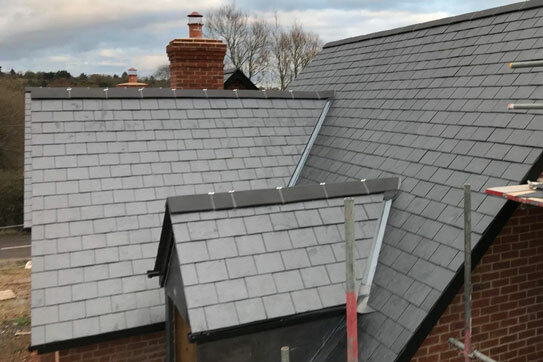 Fletcher Roofing specialise in the installation, repair and maintenance of slate roofs on both domestic housing and commercial premises. Fletcher Roofing are based in Newbury and proudly service roofs in Berkshire and surrounding counties. No job is too big or too small, our slate roofing services included fixing leaks, replacing damaged slates, re-fixing displaced slates and chimney repairs. Our highly experienced team of slate roofers take great pride in every job we work on. We are dependable local roofers with full public liability insurance for £3million. Our professional approach and unequalled customer service will give you peace of mind that the quality of the installation or repair will be second to none. Our roof estimators always provide a free, no obligation written and detailed quotation for each job priced. They will also assist with any questions and on request will supply colours, styles and samples. Thus, helping you make a good choice on the slate roofing systems that is best for you.